On Election Day we want to have precinct-specific slate cards to hand to every voter so they know the democrats on their ballot. We've found that this reduces confusion and improves our results! It cost $100 a precinct to cover our printing costs. We have 204 precincts! 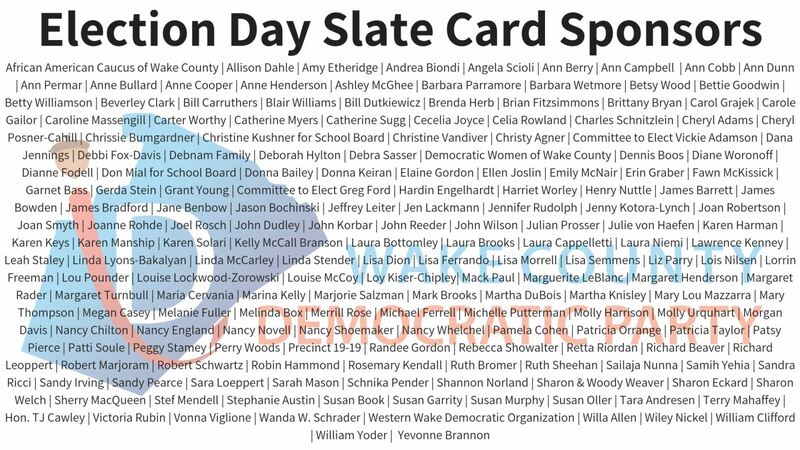 Please donate $100 (or more) to help us make sure every site has slate cards!